parts of the country and the world to pay their homage to the presiding deity. The temple is an architectural splendour towering over its surroundings. Embellished with exquisite carvings and sculptures, the temple is a feast for the eyes. 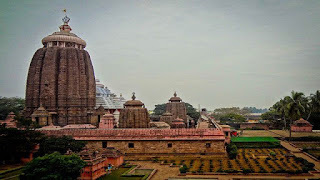 The architectural, historical and religious importance of the Jagannath Temple makes it Puri’s chief tourist attraction. The temple opens at 5.00am and closes at 1.30pm. In the evening again it opens at 5.30pm and closes at 9.30pm. 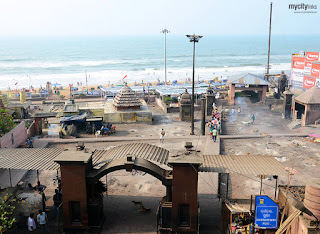 People of non-Hindu origin are not allowed entry into the temple. 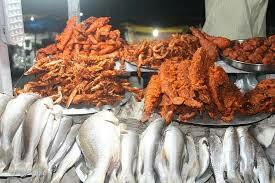 sea food. 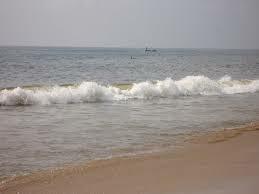 Puri beach is also ideal for swimming which accounts for its popularity with tourists. 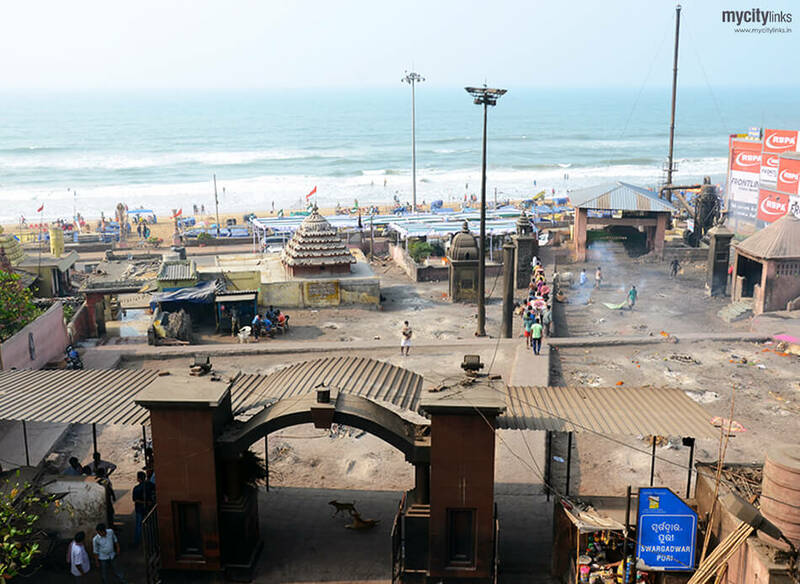 Every year in the month of November, the Puri Beach Festival is organised by Indian Ministry of Tourism, the state of Orissa, the Development Commissioner of Handicrafts and the Eastern Zonal Cultural Center of Kolkata. Swargadwar meaning the gateway to the Heaven is a holy place devoid of the modern cultural offing. 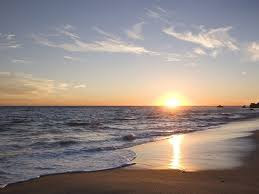 It is secluded and tranquil, preserving its sacred nature. 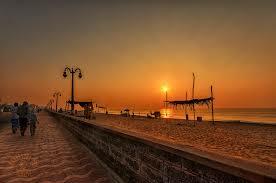 It is attended by Hindu devotees who come here to take a holy dip in the sea. This is a very large area approximately located on the right side of approaching 22 steps of eastern gate. 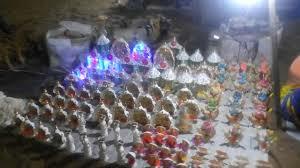 Numbering of spots identified within the courtyard and a visitors while returning after darshan, pay a visit to this market area where number of traditional sweet stalls are also found. 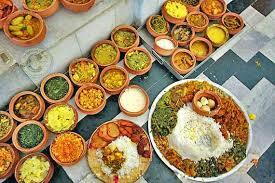 Visitors can purchase the Maha Prasad as well as dried sweets either pack up or sit there for their lunch or dinner. There is a sit out place earmarked for the visitors with water facilities. This is regarded very much auspicious to have the Mahaprasad here. 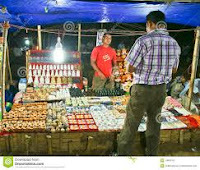 It is evident from the literary sources that Mahaprasad was earlier being sold near lions gate and also in baisi pahacha. So the facilities made and Ananda Bazar might be facilitated during 18th century.